The mild category of animal testing classification is the lowest end of the animal suffering range that is considered when determining animal suffering. This particular severity involves procedures and applications that range from the taking of a single, small or infrequent sample - including blood and urine - to a minor change in the animal's diet. It may also involve a simple, minimally obtrusive surgical procedure such as a small, superficial biopsy. Where necessary, minor surgical procedures would, however, be performed under anaesthesia. 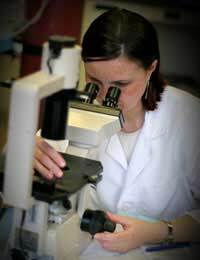 The refinement approach for alternative animal testing methods is also observed to ensure that the level of suffering is reduced to mild whenever possible. Respect for this method ensures that animals do not suffer more than absolutely necessary to satisfy the goals and aims of scientific experiments. Within the UK, almost one half of experiments involving animal testing are classified as mild, although as improved alternative methods occur, this number will likely increase. With the current small number of categories for assessment, poor classification could mean that a project license is granted based on inaccurate information when instead, a license may have otherwise been turned down. Another criticism of the classification system is that the level of suffering can vary greatly throughout an experiment. Thus, the current system is considered not advanced enough to appease the demands of today's testing structures. Still other critics feel that the entire system of classifying animals only prior to experimentation is a poorly structured one because it only relies on projected levels of suffering. They argue that it is no better than an educated 'guess' that could result in higher than projected levels of animal suffering. The alternative here would be a two-phased classification system where animal suffering is projected prior to experimentation and then again after a license is granted and during animal testing itself. While all of this additional assessment and monitoring would place a larger burden on scientists involved in animal testing, it would mean that animal care is improved and that animal testing itself becomes more transparent overall. Ultimately, whether you support animal testing or are against it, the reality is that animal testing does occur. At the very minimum, animal welfare should be maximised at all times. The current classification system is a step in the right direction but will hopefully be improved in the future. Alternative methods such as refinement procedures will also ideally make the mild category the largest one, which means a lower level of animal suffering or distress.